Vada's Blog Stamp Inks and Paper : Greetings Ladies. The Farmers have returned home. We had a wonderful trip or vacation and it’s good to be home again. 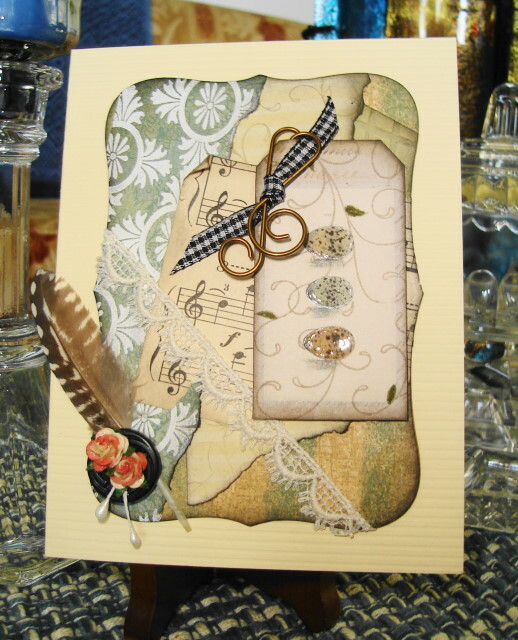 “Using Up Scraps”, here’s another scrappy card. Only used one stamp and that’s from Great Impressions. I’m sure you will find something that interests you. and I will stop in soon to see what you have been doing while I was gone. Have a wonderful Easter weekend, take care. Beautiful card! Very pretty design! Well I see you did not lose your delicate touch while down South! So lovely, Vada! Welcome back and have a wonderful Easter! Hugs! Wonderful artwork! Love what you have accomplished with scraps. Glad to hear you are back safely. 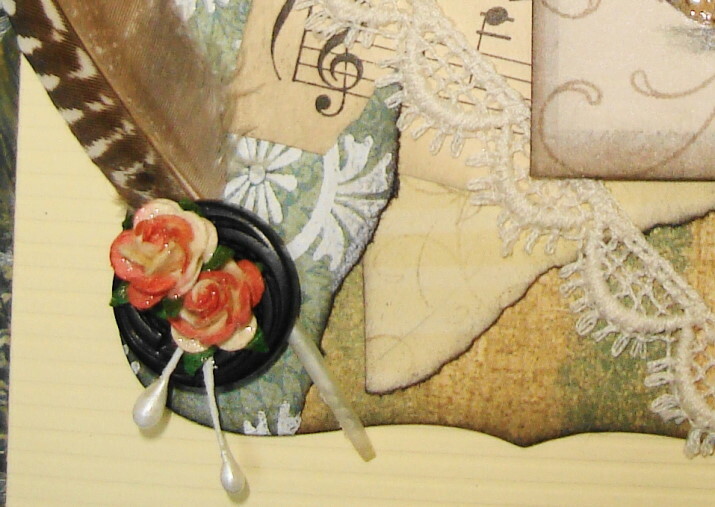 Beautiful collage card! Welcome back. O.k. I gotta ask. Is that scene painted on your barn? If so cool and did you paint it? Such a pretty collage card.